Apple has always managed to impress with their latest devices, which is partly due to the reliable software they have developed. We’ve seen many upgrades take place on our devices, which makes the better, faster, more usable, and provides additional features. 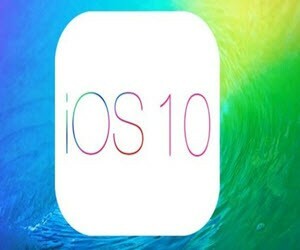 Even though iOS 8 and iOS 9 didn’t bring much difference, when it came to testing iOS 10 beta, we were impressed from the very first moment the device rebooted. iOS 10 has not been released to the public as it will be used on the iPhone 7. This means we can only expect the update later this year after the iPhone 7 has been released. However, with the beta software, we can see a few of the features to come, not only to the latest device but also all those that support the latest update. Here we look at some of the features and new options of iOS 10. Installing the new software now might be risky as it might consist of bugs and glitches as the software has not been tested. However, we’ve decided to test the software and provide the latest features and updates expected. The software was tested on the iPhone 6s Plus, which will work the same on the 6s. As mentioned above, the changes are visible from the very first moment. Picking up the phone resulted in a reaction where the screen came on and presented the lock screen as I had a passcode set. If I didn’t, it would have signed into my home screen instantly. This means the lock screen that has been there since the beginning has now been removed, making access to your apps instant. The 3D Touch features also provide a lot more options for all the apps. For example, the mail app will provide more information and allow users to archive mail without opening the app. The home screen shows more options with mail, making everything easier to use and quicker to access. The control centre that appears when you swipe up has been simplified as it came a bit too full with the latest features presented. The pop-up in a bit bigger than usual, but include all the current options while also featuring additional information about these options, such as the wi-fi currently connected to.